Amazon shocked the world when the company, more famous as an online retailer than a manufacturer, released the Kindle Fire tablet. What’s even more surprising was how well it did in the market. The Kindle Fire took the tablet world by storm and gave even Apple and Google loyalists a run for their money. 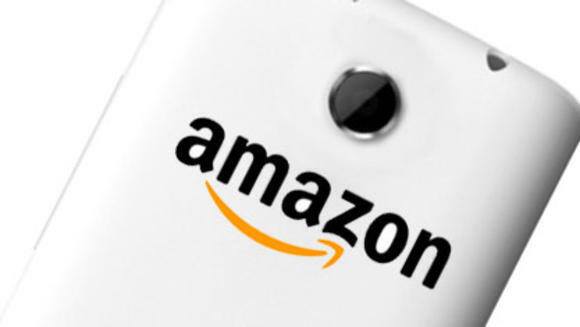 Now, after having already established itself as a capable producer of quality gadgets, Amazon, it seems, has already set its sights on its next project – the Amazon phone. It was way back in 2011 when rumours of an Amazon phone first materialised. It wasn’t long before speculation of its design, features and specifications began surfacing on every techie’s blog. Journalists clamoured to get even more detail on the device that, if the rumours are true, promises to be as innovative as it is game-changing. Whether you use your smartphone to share your escapades on Twitter or to work on the road through the RingCentral app, surely, you are eager to know more. Well, you’re in luck because below are the most recent bits of information on the Amazon smartphone. No, this isn’t something out of a science fiction novel. What may seem like pure invention a decade ago is now, apparently, being brought to reality by Amazon. Many people have speculated as to how the company would go about doing this and one idea was through the use of eye-tracking technology. The device would track the movement of your eyes just as it does on the Galaxy S4, but instead of merely scrolling down the page, it changes the interface to make it seem like a hologram is floating above the screen. Whether this is a stroke of innovative brilliance or just be a cheesy gimmick is still a mystery. Some even wonder whether the technology for a perfectly smooth running glasses-free 3D image is even available. However, what is clear is that if Amazon manages to pull this off, it will definitely be a unique selling point. There has also been a lot of speculation concerning which operating system (OS) the Amazon phone would run on. With many doubting the online retailer’s ability to develop its own and the practicality of introducing a brand-new, buggy OS into the market, people have raised questions as to which developer Amazon would hitch to. With Apple’s iOS out of the question, Windows’ Microsoft Phone firmly locked on with Nokia and Blackberry’s BB10 failing to make headway as a standalone OS, the only logical choice would be with Android. Also, bear in mind that the Kindle Fire, Amazon’s tablet, is already powered by Android. Android also powers a number of smartphones including HTC, Samsung and even Amazon’s arch-rival, Google. Money is what everything comes down to in the end. Though it’s impossible to put a price on something that is yet to exist, analysts have already thrown their estimates into the ring. If the device is to be a profit raking machine, then anything above $250 (depending on its features) would give the phone a good profit margin whilst staying competitive. However, many believe that the device is just a medium by which to extend Amazon’s online retailing business and might be priced at loss at just $150-$170.The company will just hope to offset the costs through online sales. 3D imaging and an Android OS, throw in 4G technology, media playback and tons of apps all for just $170? It must be too good to be true! But then again, today’s technology also seemed impossible decades ago. So if the Amazon will be able to pull these ideas off, one thing’s for sure, Amazon will ultimate rise to the top – undoubtedly surpassing the iPhone and Galaxy series among others.